Despite second-half deficits and sloppy play, Florida State remains unbeaten heading into the ACC championship game against Georgia Tech. But those near losses offer a blueprint on how Jameis Winston and the Seminoles can be taken down. Here's how Georgia Tech can beat Florida State. If this were any other year, Florida State’s Rasputin routine would be arguably the best story in college football. You can stab them, you can poison them, you can club them, you can shoot them. But you can’t quite finish them. Florida State skated by Clemson in a 23-17 overtime win on Sept. 20. 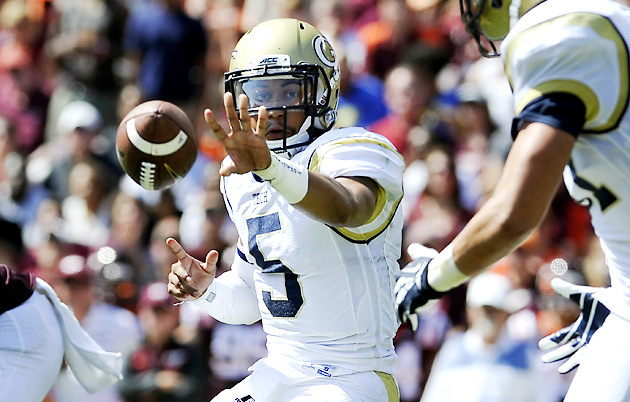 It trailed NC State at the end of the first quarter on Sept. 27 before rallying to win 56-41. It survived Notre Dame 31-27 on Oct. 18 after a penalty erased the Fighting Irish’s would-be game-winning touchdown, and it beat Louisville 42-31 on Oct. 30 after falling behind 21-0. Miami had a chance to beat Florida State on Nov. 15, but a late drive stalled and the Seminoles won 30-26. A last-second Roberto Aguayo field goal was the difference in a 20-17 win over Boston College on Nov. 22, and Florida State topped Florida 24-19 on Nov. 29 despite four interceptions from quarterback Jameis Winston. There has been no shortage of off-field drama for Florida State, too, which seems to overshadow how much incredible on-field drama the reigning national champions have faced on a weekly basis. Yet somehow the rallies continue. Can the ‘Noles be beaten? No team this season (or in the last 28 tries, for that matter) has been able to do it. But Georgia Tech stands as good a chance as any in Saturday’s ACC championship game in Charlotte (8 p.m. ET, ABC). The seemingly endless string of close calls, while not producing a single defeat, has set up a blueprint for how to take down the Seminoles. Here are five things Georgia Tech needs to do. Imagine this: Georgia Tech receives the ball to begin the game and goes down the field in one of its patented eight-minute drives to take a 7-0 lead. Then Florida State picks up three yards on first down, throws an incomplete pass on second down and allows a Winston sack on third down. Tech gets the ball back with good field position and kicks a field goal to go up 10-0. That seems like something that has happened to this year’s Florida State team about a half-dozen times. Now here’s where this gets interesting. The reason the ‘Noles have been able to regularly come back is they’ve had ample opportunities. But if they find themselves in a hole against Georgia Tech that won’t be so easy. “We've had some games where we've been able to control the clock and limit the possessions,” Georgia Tech coach Paul Johnson said Tuesday. “It’s like Saturday night, I am sure if you asked [coach] Jimbo [Fisher] he would have loved to have 16 or 17 possessions. I'd like to have eight. It's probably going to be somewhere in between. In my perfect world, we'd have eight and they'd have seven. That'd be a good formula." Johnson wants to shorten the clock in most games. Against Florida State, it might be necessary to spring the upset. • ​ELLIS: Bowl Projections: Where are Florida State, Georgia Tech headed? 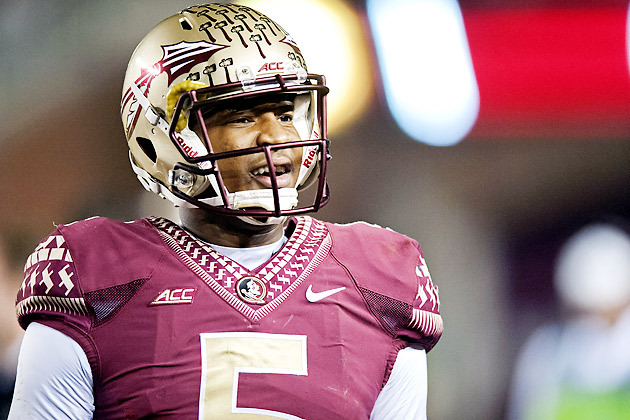 With 1:29 remaining in the first quarter against Florida, Winston threw his third interception of the game. The Gators were only able to turn the first two into six points, and had a 9-0 lead at the time. On the play following the interception, which set the Gators up at the Florida State nine-yard line, Florida quarterback Treon Harris tossed a pick-six. The lead was sliced to 9-7, and the Seminoles were allowed to start making their run. That's the blueprint for exactly what the Yellow Jackets can't do. If Georgia Tech gets good field position following turnovers, it needs touchdowns, not field goals -- and it certainly can't return the favor with a turnover of its own. Yet the Yellow Jackets tend to make the most of their chances. The Yellow Jackets will need to have a similar effort against Florida State, which has lost at least two turnovers in all but three games this season​ (the Citadel, Notre Dame, Boston College). • ​STAPLES: #DearAndy, is playoff committee ignoring head-to-head? Winston won the Heisman Trophy last season​ while handing off to running backs Devonta Freeman, James Wilder Jr. and Karlos Williams and throwing to receivers Rashad Greene, Kelvin Benjamin and Kenny Shaw (along with tight end Nick O’Leary). Of those seven crucial players, only Williams, Greene and O’Leary remain, and Williams will miss Saturday's game with a concussion. The offense has taken shape thanks to a crop of talented youngsters, including tailback Dalvin Cook (who has started to run with power rather than trying to bounce every carry outside) and receivers Jesus “Bobo” Wilson and Travis Rudolph. Greene will get opportunities. However, given all of the double-teams he faces, the freshmen and sophomores will have chances to make plays. The issue with young players, especially young receivers, is sometimes they get frustrated or quit on routes if defenders play them physically. All it takes is one time for a guy to break off his route while Winston is expecting his receiver to be in particular spot. 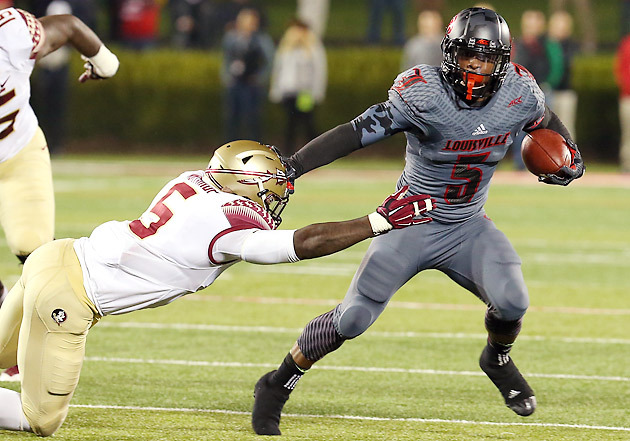 If a defender slips in -- as happened in the Louisville, Miami and Virginia games -- it could lead to a costly turnover. 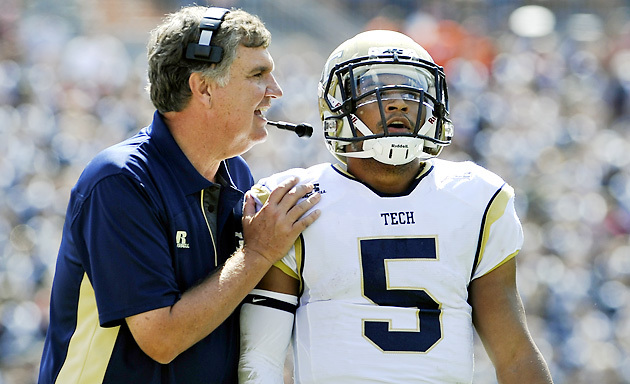 Georgia Tech, which has six defensive touchdowns on the year, could take advantage. While the back end features a star in Jalen Ramsey, and the defensive line is anchored by Mario Edwards Jr., Lorenzo Featherston and Eddie Goldman, the middle of the field can be exploited. With backs like Zach Laskey and Synjyn Davis, Georgia Tech is prepared to exploit Florida State’s primary weakness. With all of the team speed Florida State has (and the fact that top receiver DeAndre Smelter is out for the Yellow Jackets), Georgia Tech will need to force the Seminoles into missing assignments against the option. If the Jackets consistently push plays into the soft middle of the field, they could find success offensively. 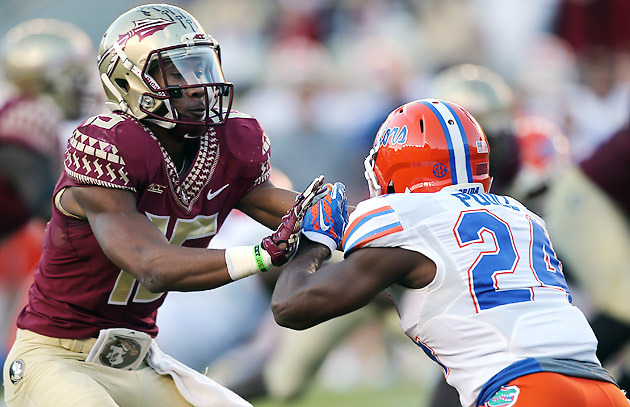 • ​ROUNDTABLE: Why is Florida State down to No. 4 in playoff rankings? Florida State has played in so many close games this season that its zombie quality has become a part of its identity. When the Seminoles fall behind, they know they can fight back because they’ve done it before. “That's who we are and how we play,” Fisher said Sunday. Other teams play tight in those situations and get away from their game plan. While Florida State continues to chip away, the bottom drops out from their opponents. Georgia Tech can’t let that happen. Johnson knows well how a team just keeps winning, having racked up an FCS-record 39 consecutive home victories during his stint at Georgia Southern. If the Yellow Jackets find themselves in a close game down the stretch, they have to fight Florida State’s calm with a calm of their own. Otherwise, they run the risk of being swallowed up, like so many other teams have before them. • RICKMAN: Where are Florida State, Georgia Tech in Power Rankings?